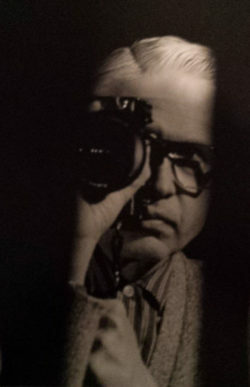 Gerrit TePastte joined the Grand Rapids Camera Club in 1983 and was an active member for over 25 years. Gerrit’s first serious camera was an Angus Twin Lens Reflex, for which he paid $35, a lot of money in the pre World War II days.He was the unofficial photographer of the 126th Infantry Band, he lost that camera somewhere in the jungles of New Guinea.He took a photography course through adult education and soon joined GRCC so he could enter darkroom prints into competition.Joe Timmer was the master printer and he wanted to learn from him. Gerrit TePastte became Treasurer of GRCC in 1983 and served for over 15 years, the longest elected position held by a club member.Along with his treasurer duties he managed to put on countless mini programs, slides shows, workshops and demonstrations, not only for GRCC but for many other camera clubs.He was a popular presenter.He liked to shoot portraits, nature, table top set ups, black light and Mylar.His love of photography centered around his darkroom where he processed all his own film, and lovingly printed on an old Beseler enlarger.